My family has long enjoyed the tradition of gifting baskets of trinkets and treats at Easter. When I was growing up, my mom would fill baskets to the brim with candy and treats to give to my sister and me--and even one to my dad. She'd use the same baskets of colored, woven plastic year after year. You know! I think I still have my pastel pink and purple basket in storage somewhere. I'm not sure I could ever get rid of it. 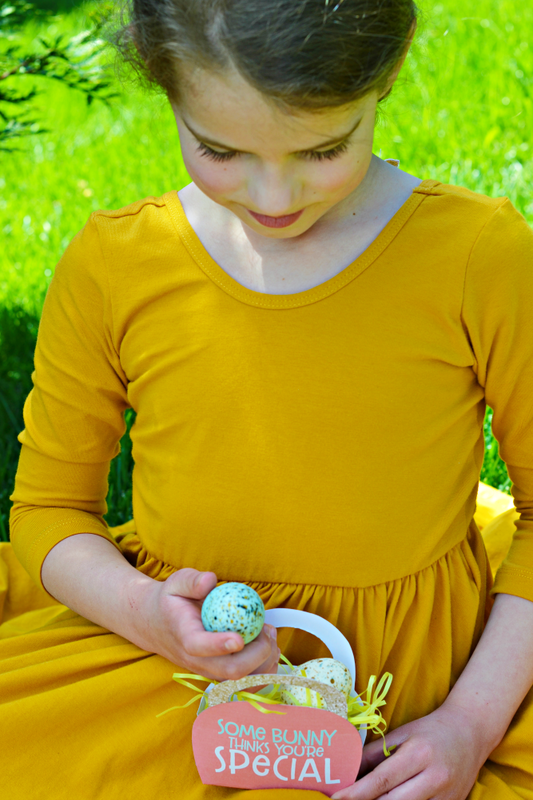 It's been through way too many Easter mornings, egg hunts, and Sunday picnics. My own kids get a double dose of this basket gifting tradition with a basket from me and one from their Mimi--my mother who's still carrying on the tradition today. 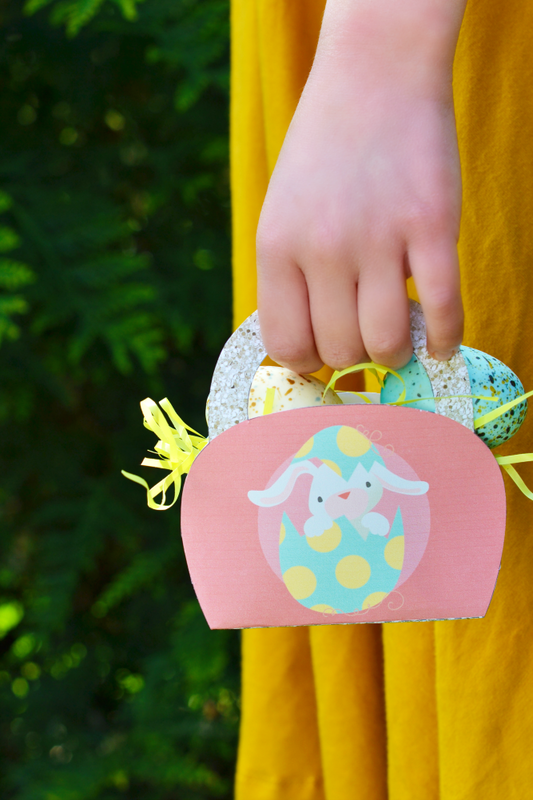 Whether you already have a gift basket tradition in place or you're wanting to start one, this Printable Mini Easter Basket is an adorable way to gift goodies and share smiles at Easter! There's one Easter, in particular, that stands out to me. There was nothing BIG or important that happened that day. It's just one of those days from my childhood that's forever etched in my memory. The things I remember about the day may be a bit random. It's often funny...the things you remember from childhood, isn't it? Perhaps I'm a bit more sentimental about my childhood days now that my dad and sister are no longer with us. My mom now refers to them as "the good ol' days." And they were! In true Southern fashion, my mom would dress my sister and me up in gunny sack dresses, hats with satin ribbons, ballet flats, lacy socks, and gloves. This particular Easter saw us extra frilled-up. This didn't seem to matter to my sister Allison, though. As mom and dad were finishing preparations for going to church that Sunday morning, she went ahead and helped herself to her Easter basket. There she was--dressed to the nines--with her legs sprawled out and the pillaged Easter basket in front of her. Sticky candy dripped from her tiny, toddler mouth all over her pale pink dress. I remember thinking that surely she'd get into some trouble. 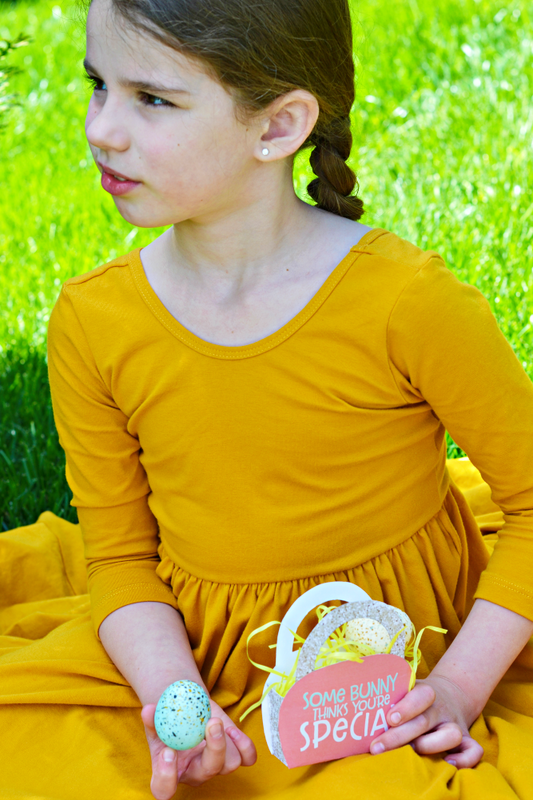 What could my mother do, though--other than to snap a picture, call it a memory, and try to wipe as much chocolate out of the frilly layers of the dress as possible? We still have that picture today, and the look on her face was one of pure joy. On the way into church on that humid Georgia morning, I tugged and twisted on my tights the entire way across the steaming parking lot. They don't call it Hotlanta for nuthin'. Going to church was always an important part of our Easter Sundays. 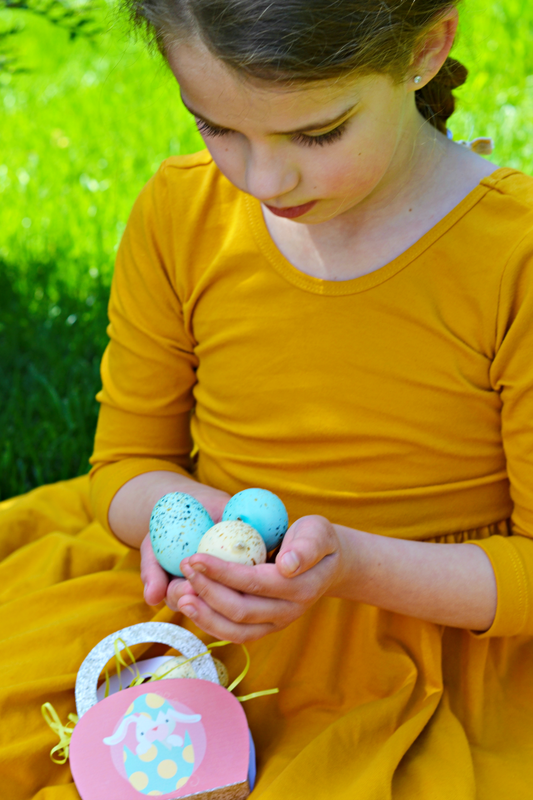 Even in the midst of egg hunts, chocolates, bunnies, and baskets, it was the story of Jesus and his resurrection that my mom most wanted to pour into our hearts on Easter. I don't think I realized it at the time, but those songs and sermons were soaking deep into my soul and building a foundation of faith that I still stand on today. The rest of the day consisted of lunch with friends, egg hunts through lawns shaded by Georgia pines, and memories even sweeter than the candy in those baskets my mom would give us. That was it! Nothing spectacular had occurred that Easter. It was just a simple Easter Sunday comprised of dozens of ordinary moments that collectively formed a perfect day. Like most of our Easters and holidays, it was just being together that mattered most. That was the real gift! 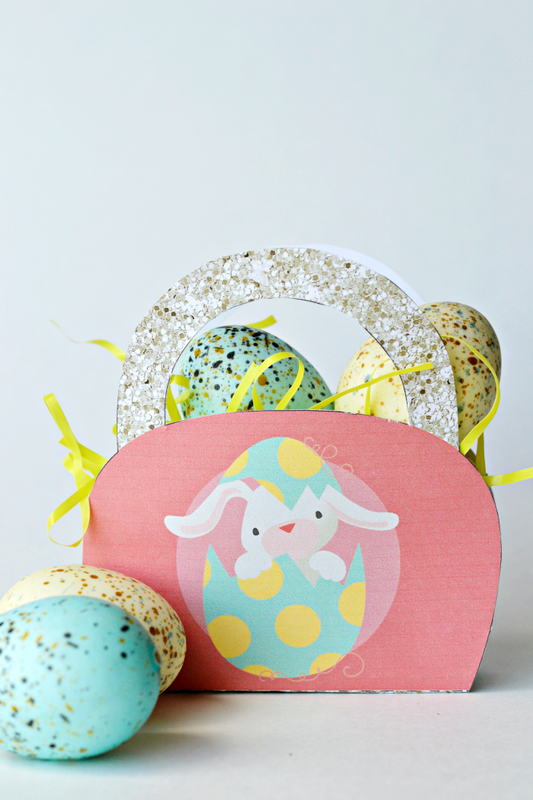 This Mini Easter Basket Printable makes it simple to share smiles, goodies, and memories with others this Easter. 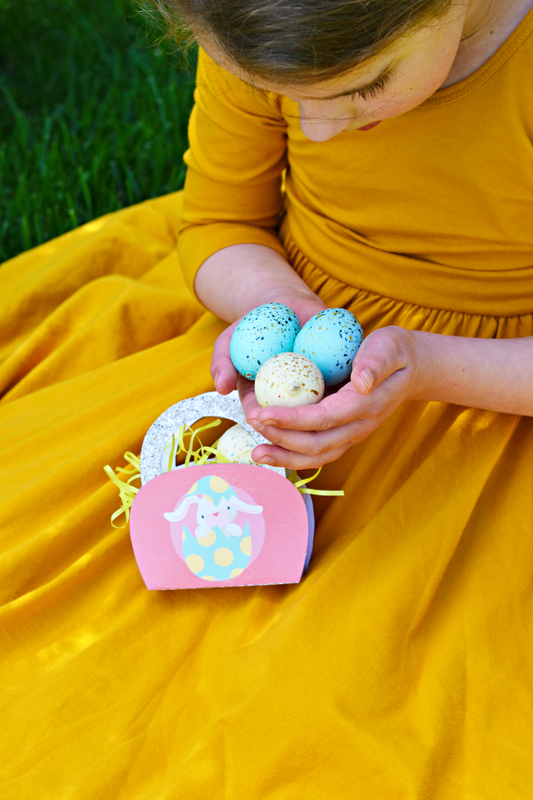 Enjoy putting the basket together, tucking treats inside, and gifting it to the special people in your life. 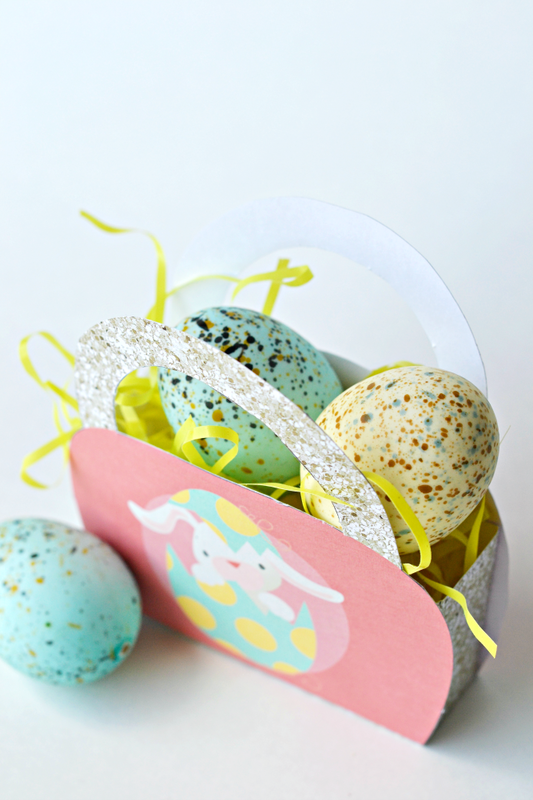 Are you hosting Easter brunch? Taking treats to a class party or Sunday school event? Or just looking for a simple gift idea for your family and friends? 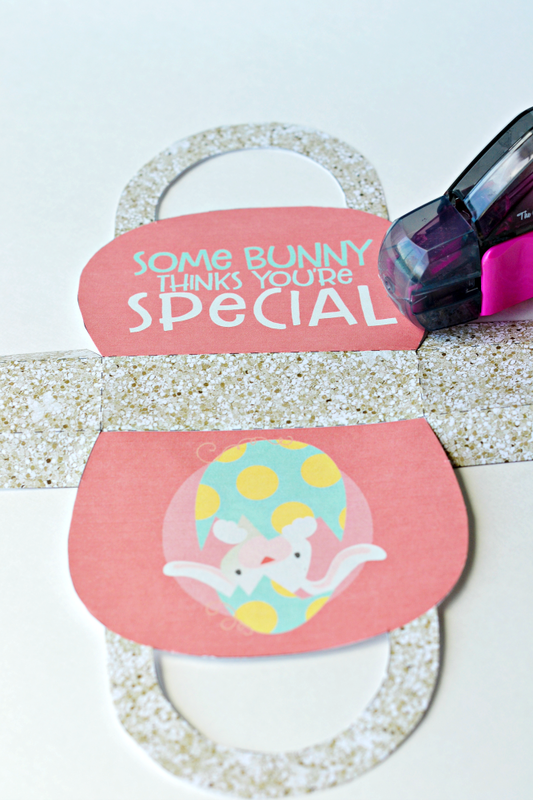 This is a sweet and simple way to let others know how special they are to you! Print, assemble, fill, and share! 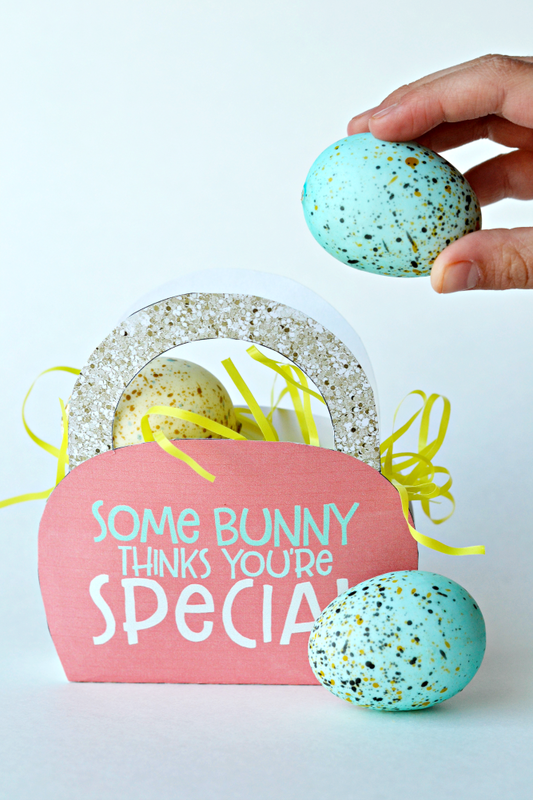 It's that easy to honor an Easter basket tradition with your family this year. 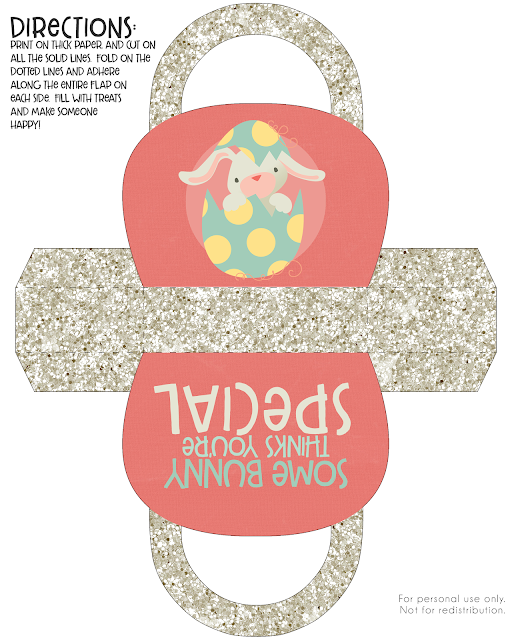 Click on one of the links above to print off a copy of this Free Printable Mini Easter Basket. Tip: It's best to print it on heavy paper. Apply adhesive to the flaps on each side. I use a tape runner, but double-sided tape works great, too! 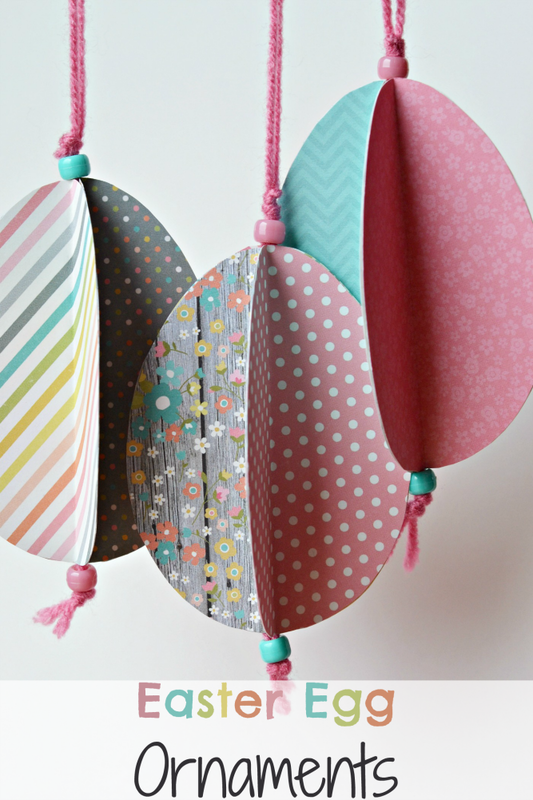 Press the flaps against the front and back of the basket ensuring that it all holds together. 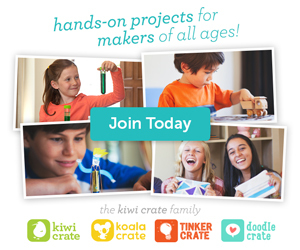 Fill with treats and or trinkets and gift to someone special! 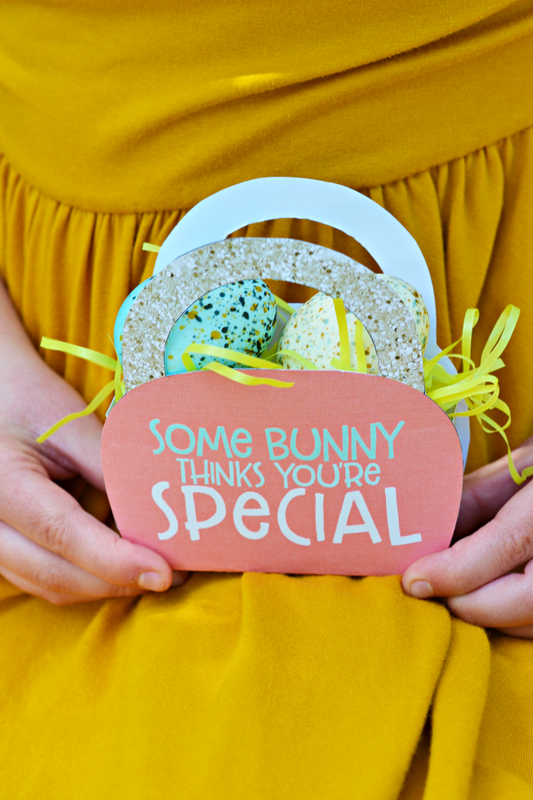 What makes your Easter special? 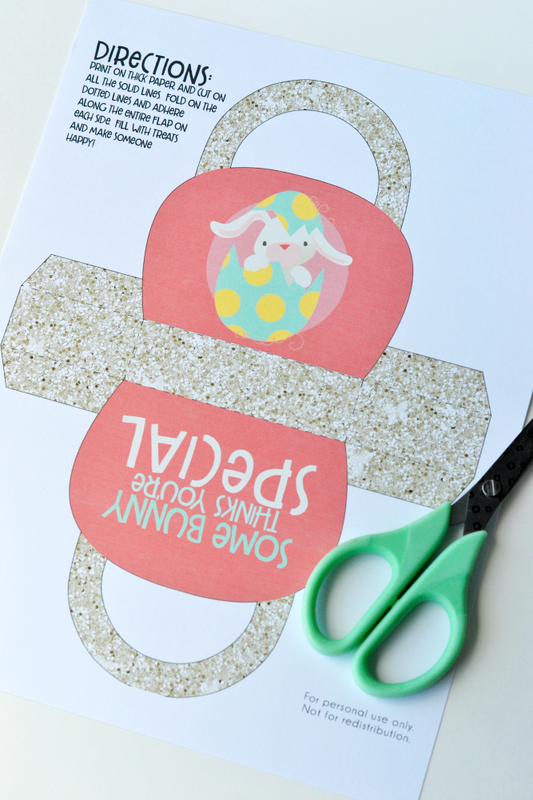 Could you put this cute printable to good use? For your kids? A class party? Family, friends, and neighbors? I'd love to hear who you choose to share it with! Whoever it's gifted to, I hope it carries with it sweet smiles and even sweeter memories. 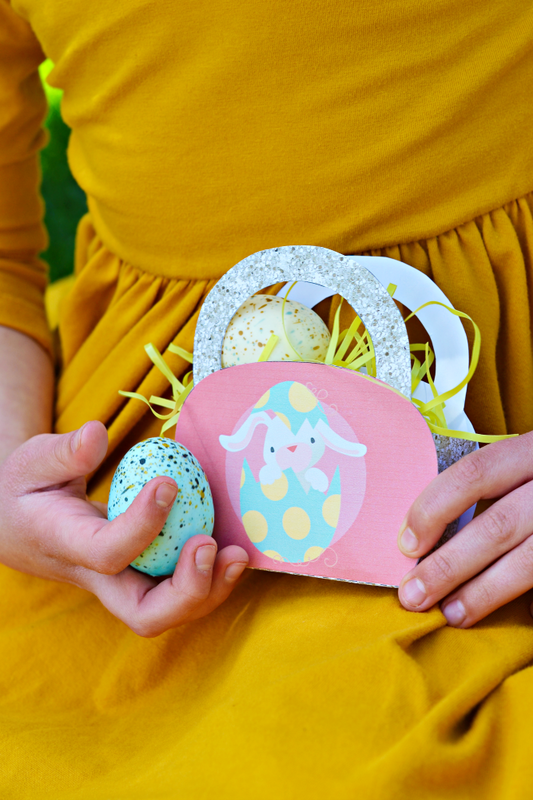 You may also enjoy making memories with this Easter Ornament Craft for Kids! 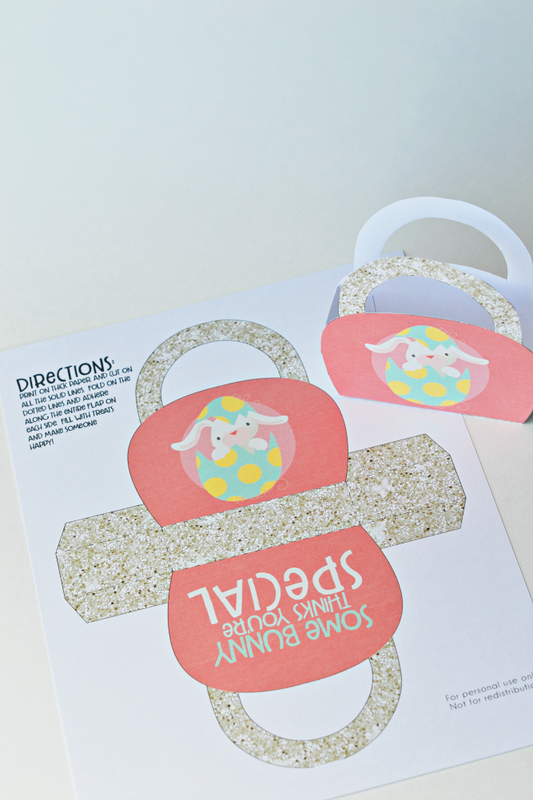 *Affiliate links have been included to help guide you to a few products perfect for making these Mini Easter Baskets. Super cute! 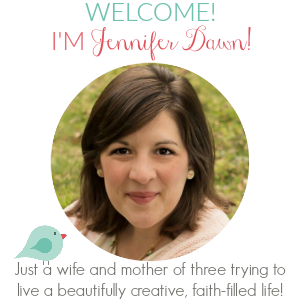 I couldn't believe that was a printable when I first saw your photo! Thanks! I hope you'll print it out and be able to put it to some good use. :) Have a wonderful Easter! Thank you for sharing your childhood memories. Thanks for visiting! 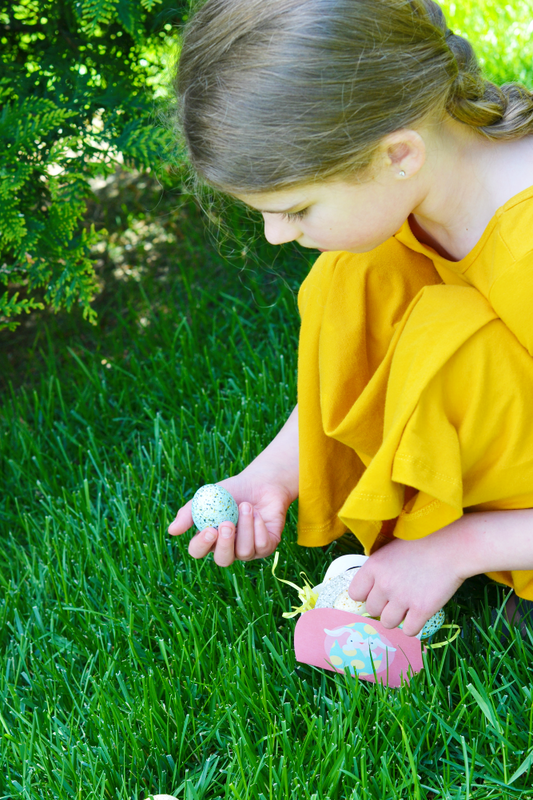 What do you remember about your Easters growing up?